Add some variety and a little fun to the traditional violin recital. The Fiddlin' for Fun Functionally books introduce students to the "fiddling" style by taking the beginning violinist through different modifications of several pieces. Students learn about chord structures, bowing techniques, and rhythmic and harmonic variations while having a great time playing familiar tunes. The books are designed so that the student can be accompanied by a teacher, a pianist, or both. 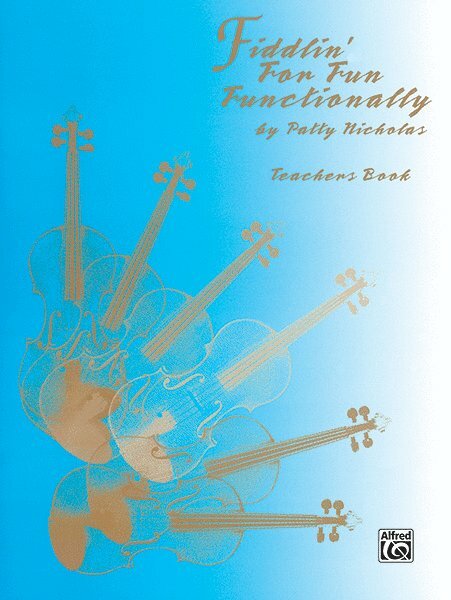 The teacher edition is for the violin teacher who cannot accompany the student on the violin without a written part. Having the Teacher's Edition allows the violinist teacher to play along with lessons much like a traditional fiddle teacher would. An accompaniment CD recorded by Alice Joy Lewis is also available. Contents are: Irish Washerwoman * Boil 'Em Cabbage Down * Rubber Dolly * Old Joe Clark * Goofus * Cindy * Fiddlin' Around * Amazing Grace * Liberty * Westphalia Waltz.